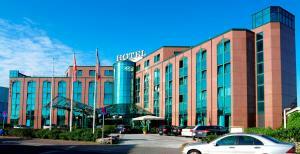 This hotel is next to Frankfurt's Hessen-Center mall. 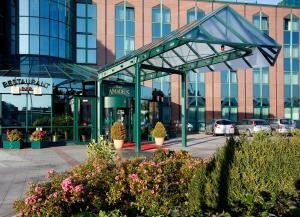 This modern 4-star hotel offers free WiFi access. Massages can also be booked at the hotel. 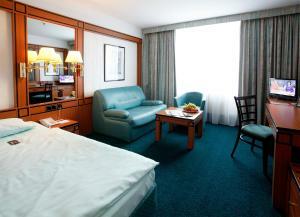 The privately run Hotel Amadeus Frankfurt offers air-conditioned rooms with international TV channels (SKY Atlantic) and a desk. The Hotel Amadeus's Papageno restaurant offers an à la carte menu. The Zauberflöte bar serves local beers and a range of cocktails. A beverage vending machine is located on the 1st floor. 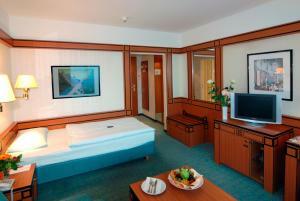 These air-conditioned rooms feature satellite TV with international channels, and free WiFi. Please note that this room consists of 2 single beds pushed together to make a double bed. On request, the beds can be placed apart. 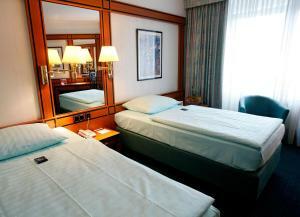 These air-conditioned rooms feature separate beds and satellite TV with international channels, and free WiFi. Please note that this room consists of 2 single beds pushed together to make a double bed. 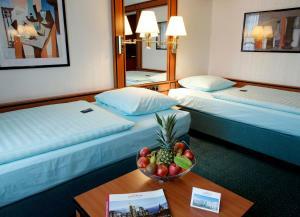 On request, the beds can be placed apart. 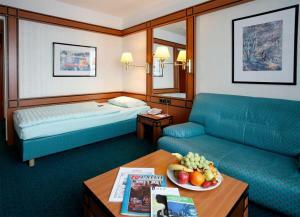 These air-conditioned rooms feature a sofa and satellite TV with international channels, and free WiFi. 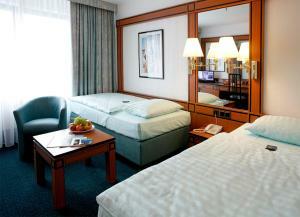 This room offers a queen-size bed, air conditioning, private bathroom, a satellite TV with Sky channels, and free WiFi. 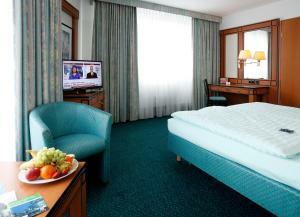 This air-conditioned room features a satellite TV with Sky channels, a private bathroom, and free WiFi. 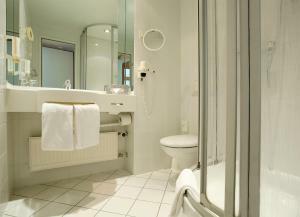 This air conditioned studio offers a terrace, a private bathroom, a satellite TV with Sky channels, and free WiFi. This air conditioned room offers a large double bed and extrabed, a terrace - occasionally with a sky line view, a private bathroom, a satellite TV with Sky channels, and free WiFi. 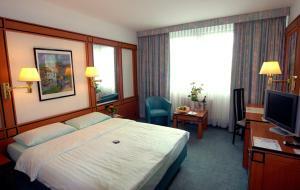 This single room features a electric kettle, air conditioning, and free WiFi. 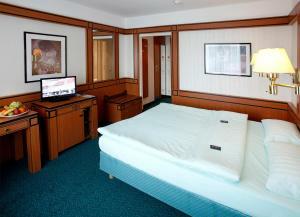 This double room has a air conditioning, and free WiFi.